Archpriest Sergei Garklavs, Dean Emeritus of Holy Trinity Cathedral, fell asleep in the Lord unexpectedly on Monday, October 19, 2015. Prior to his assignment to Holy Trinity Cathedral, Father Sergei served Saint Mary [Protection of the Virgin Mary] Church, Gary, IN, and Saint Panteleimon Church, Argo-Summit, IL. 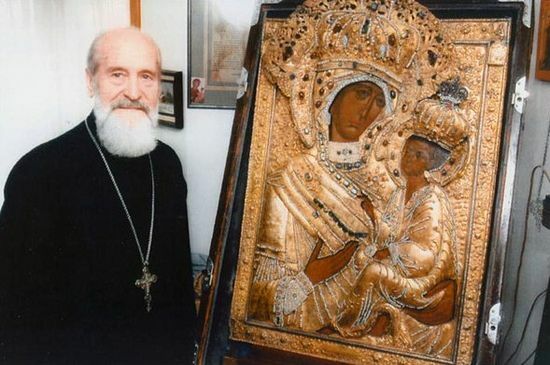 Having served for many years as guardian of the Wonderworking Tikhvin Icon of the Mother of God after the repose of His Eminence, Archbishop John of Chicago, he and the members of his family accompanied the icon on its return to Russia in 2004. Predeceased by his beloved wife, Matushka Alexandra, who fell asleep in the Lord July 9, 2005, he is survived by three sons, the Very Rev. Alexander Garklavs, Rector of Holy Trinity Church, Parma, OH, and George and Paul Garklavs; two daughters, Mary Smith and Olga Prevas; and eleven grandchildren. 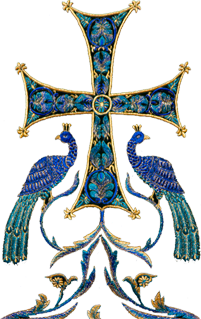 May Father Sergei’s memory be eternal!